Please select option for CREW-ECU-VINTAGE. Super soft and completely cuddle-able material makes this sweater the perfect rainy day outfit! 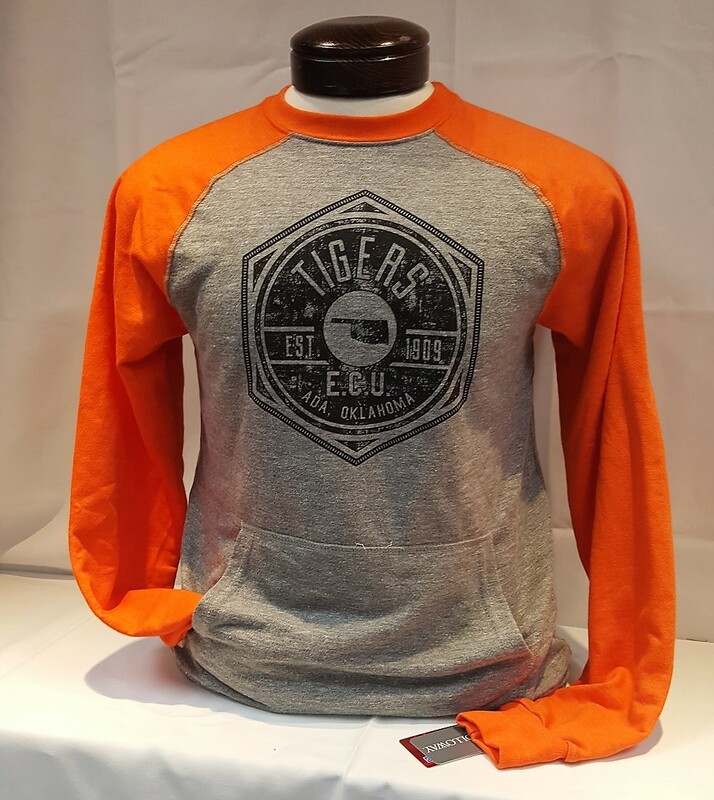 Gray material with "ECU" logo printed on the chest in black and orange. 80% Viscose/17% Polyester/3% Elastane. Please select option for Cuddle Crew-Neck Sweater. Super soft and completely cuddle-able material makes these pants the perfect rainy day outfit! Gray material with "ECU" logo printed on the thigh in black and orange. 80% Viscose/17% Polyester/3% Elastane. Please select option for Cuddle Lounge Pants. If you're looking for a new favorite study outfit, look no further than these jogger pants! Comfortable material made from 74% Cotton/26% Polyester makes these pants the perfect item to throw on when you're in a hurry. Gray coloring with "ECU Tigers" printed down the leg. Available in light gray (oxford) and dark gray (charcoal). Please select option for ECU Jogger Pants. Soft terry-cloth material made from a cotton/poly blend (55% COTTON/45% POLYESTER). Long sleeved hoodie with drawstring hood. Perfect for transition seasons. "ECU" and ECU Tiger logo printed on the front in black. Available in a muted crimson or gray. 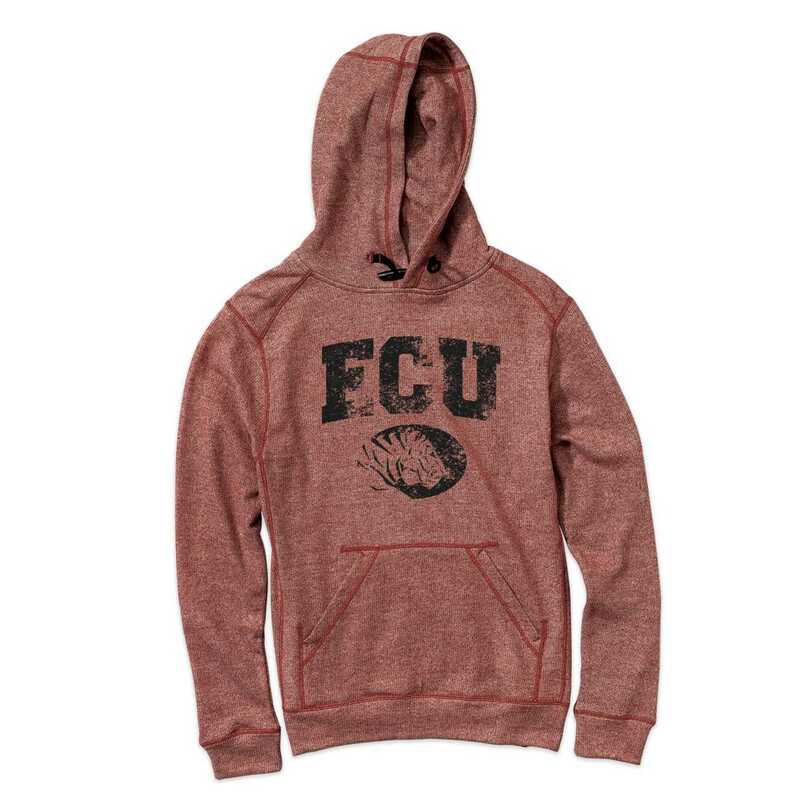 Please select option for ECU Stockbridge Hoodie. One touch and this Sherpa will have you feeling like you're wearing a cloud! 100% Polyester material that is oh so soft! Dark gray with gray and white striped bands around wristbands, waistband, and collar. ECU Tiger logo embroidered on the chest in orange thread. Please select option for Fuzzy Sherpa Jacket. Please select option for HOODIE ECU POLY FLEECE. 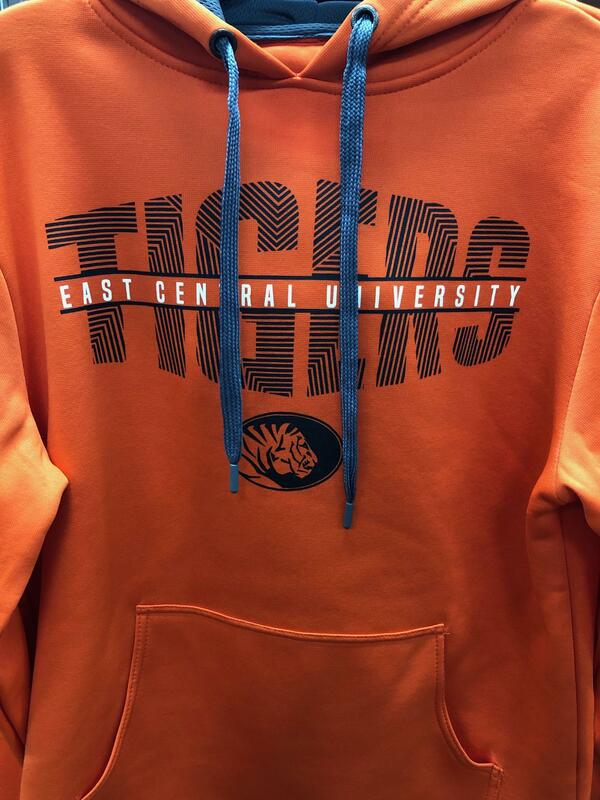 One of our best sellers, this is a warm and comfy gray sweatshirt with "East Central University Alumni" Printed across the chest in a trendy, orange and black, Old English font. 50% Cotton/50% Polyester fiber content. Please select option for Old English Print Sweatshirt. Warm, Comfy, and Stylish, this flannel is sure to become a staple in any ECU fan's wardrobe! 100% Cotton material affords for breath-ability and warmth at the same time. Unisex, black and white plaid pattern with ECU Tiger logo printed on the chest in black and orange. Please select option for Plaid Flannel Buttondown.